Dimensions 1.75 by 7.50 by 9 in. Amazon.com description: Product Description: Full of practical examples and updated for the latest version of Perl, version 5.6.0, this acclaimed introductory guide explains how to harness the power of Perl in heterogeneous UNIX-Windows-Linux environments, from automating applications and network functions to creating GUIs and interactive Web pages. The CD-ROM includes ActivePerl for Windows, the Perl source code, sample code and scrips, and useful Perl tools. 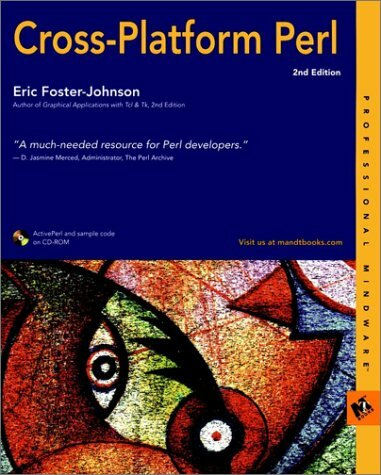 About: Full of practical examples and updated for the latest version of Perl, version 5.